Think about all the movies you’ve seen about the future. People live in a dark, dirty world in medieval garb and fueldalistic societies. Put a lazer gun in Attilla the Huns hands and you’ve got a space movie. Sometimes they just aren’t paying to close attention. Here’ s my favoriate example. In the movie the 6th day with Arnold Swartzenegger, they explore the issue of cloning. The future is ruled, you guessed it, by one evil corporation. They can clone anything. In fact, every a bad guy is killed, a clone is ready for replacement. When they clone someone, they can add or take away any medical problems. However, the head evil guy is wearing glasses. Every time he comes back he’s wearing glasses. Obviously in the future they are incapable of laser eye surgery. There is no reason for any movie set a few hundred years in the future for anyone to be wearing glasses. Here’s the trailer from that movie. This is a start of a small series of posts about books that are better heard as audio books than read. Let’s start out with a quick example. 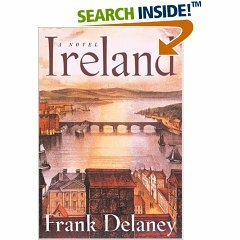 Irelandby Frank Delaney is about an Irish storyteller who wanders the countryside telling the tales and oral history of Ireland. At each stop, he tells a fascinating and winding tale. The story is read by the author who has a rich acting background and the perfect voice for the story teller. It’s really like hearing those stories first hand the way they were told. Sitting there listening gives you something that you couldn’t get by reading. This is especially true if you weren’t familiar with the dialects and the pronunciation which hurts the flow of the story. This book is definitely 5 pizzas.